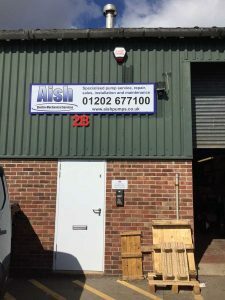 Aish Pumps contacted us recently about refreshing their workshop signs and graphics with new signs. 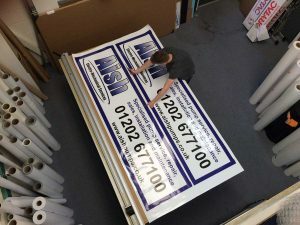 Their old signs were previously produced as outdoor Foamex panels which although have their place, they are not always the best solution for long term signage. Instead we removed their old signs and replaced them with high quality Di-bond signs which were also designed by our graphics department. From concept to installation RGL produced and installed these workshop signs at Poole in less than a week. If you are looking to order a new workshop sign for your workplace please drop us a line to see how we can help your signs look the business !